Here at Radio Lingua we like to keep track of what’s happening in the world of research on language acquisition. 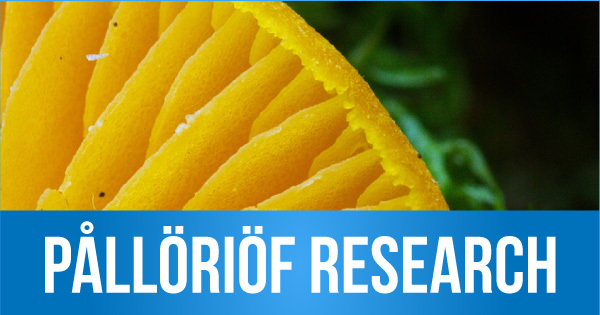 Scientists at the University of Pållöriöf in northern Finland have discovered that a rare variety of edible hygrocybe known as the yellow waxcap has been linked to improved language skills. Tests were done on students in the language department at the university and it was shown that those who consumed up to 5 yellow waxcaps daily had increased ability to speak and write in the language. Not all waxcaps are edible, so we would strongly advise that you don’t try this at home! Wouldn’t that be wonderful? Wouldn’t it be great it there were a food that could make your brain more effective as a language learner? Of course, the University of Pållöriöf doesn’t really exist, and if you try rearranging the letters you’ll realise that this is in fact our April Fool! It is, however, worth saying that enjoying the local foods and culture of the country where the language you’re studying is spoken will undoubtedly help you improve your understanding and become “more French” (or Spanish, Italian, German, etc). I had a feeling all along that this was an April Fool but I SO wanted it to be true! Bet JB had a had in this?? ?